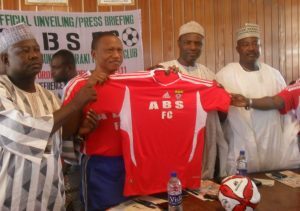 ABS FC Announces “Biggest” Kit Sponsorship Deal in the NPFL – Royal Times of Nigeria. 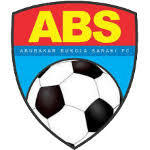 ABS FC, Ilorin, have signed a five-year kit sponsorship deal with Puma according to a statement by the club today. As part of their commitment to grow and develop sports in Nigeria, PUMA, the global Sports lifestyle Brand, through their official Franchisee in Nigeria will be partnering with ABS FC, to kit and sponsor the team for a period of five years. Club chairman, Mr. Seni Saraki said the deal is the first of its kind partnership that represents the biggest football Kit sponsorship in the history of the Nigerian Football league and will see ABS FC and PUMA working together to expand the profile of Nigerian football over the course of this partnership. The club however, did not disclose the figures involved in the deal. An unveiling event is scheduled for the Palms Mall, Ilorin on Thursday, the first of June. Football stakeholders and other functionaries are also expected to grace the ceremony. The President of the Nigeria Football Federation, Mr. Amaju Pinnick and the Chairman of the League Management Company, Malam Shehu Dikko will be special guests of Honour at the official launch of the new kit partnership.